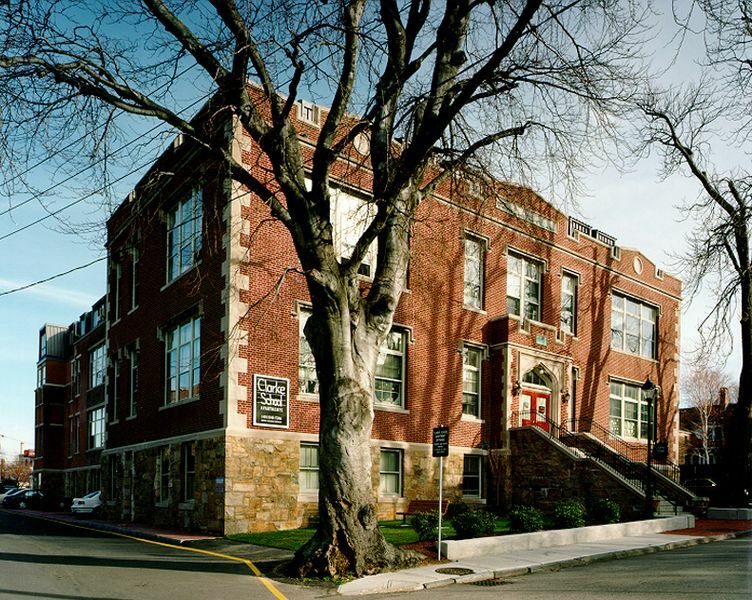 NCA converted the historic John Clarke School into elderly housing. The design followed Federal and State Historic Tax guidelines to retain the historic character of the brick exterior and wide central hallways. Classrooms were reconfigured to accommodate 56 units and community rooms. The rooftop addition blends with early 20th century architecture and provides panoramic views of Newport Harbor.